I live in Austin the capital of Texas and the self proclaimed “Music Capital of the World” with my lovely wife Jenny and our two beautiful children: our son Garrett, and our daughter Grace. 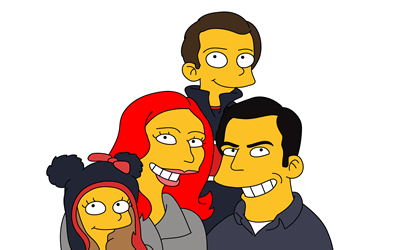 We enjoy being together as a family and with other family in the area. We like to try new food and go to our favorite restaurants. We enjoy travel and try to go to an exciting new place every year, as well as visiting existing favorite locations. I also enjoy pursuing passions such as photography. My wife and I love music and listen to Austin musicians and touring bands as much as we are able to now with the little ones. Volunteer work for South by Southwest Conference (SXSW), Film Conference, Music Conference, and Interactive Festival, Old Settlers Music Festival, Philip H. Anselmo Housecore Horror Film Festival, Other Worlds Austin SciFi Film Festival, and The SIMS Foundation, and the Hays County Chapter and the Dripping Springs Chapter of Ducks Unlimited, where I have served as Treasurer. I hold many different memberships, but one that I would like to highlight here is a local Rod Fishing Club, where I have served on many different Committees over the years, such as Second Vice President and Children’s Committee Chairman for over 7 years. 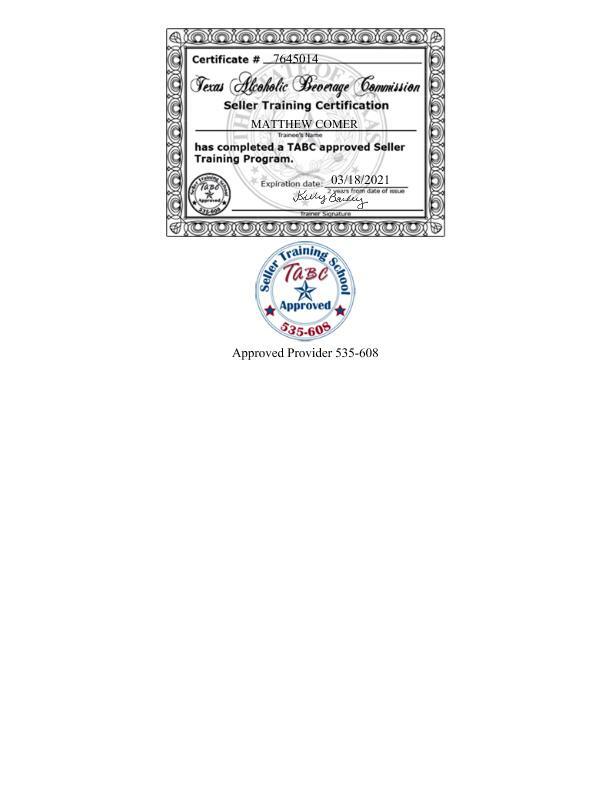 I am TABC Certified. As well as being involved in many different causes, some that were more successful than others: Save Manchaca FireHall, Leave Manchaca Alone and others… And host a Deep Dives w/ Matt Comer Show and podcast on IBM Radio. as well as a smaller show, Tiny Curations. I operate a consulting business, doing freelance business as Matthew Comer and syphonsoft Web Hosting. I have several projects and long-term clients. I perform consulting to the State of Texas as a Catalog Information Systems Vendor (CISV) and can be found on the Centralized Master Bidders List (CMBL) Vendor ID: 1205325509200. I am a business man and an aspiring serial entrepreneur at heart. I operate several small businesses, Freeman Properties Property Management Company as well as other businesses listed on this site. I am currently employed as a Project Manager with IBM. I have been involved with many projects, specifically, 2004-2016 – PartnerWorld. 2016 – IBM Cloud, formerly Bluemix. As of September 2017, I work on a great team in the IBM Blogs. This is an excited role, where we create and maintain our own custom WordPress theme and host 123 Blogs with over 10,000 users, 110 plugins, 1,309 pages, and 37,938 posts, with 1,607 new posts in the past 90 days. My former role, of which I still oversee along with the Sales Essentials group, is with PartnerWorld Business Partner portal as a part of the IBM Services with the Marketing Content Services (formerly Marketing and Sales Content Services Organization, Digital Services Group, Offering Kit, Content Services, and Solution Gateway). Formerly, I worked as a contractor with Titan Solutions providing consulting for IBM. I am doing some amazing work as an IBMer. I had built a system in which editors on the team can create and maintain HTML pages using an XML/XSL integrated WebSphere system. This allows the users to create pages much more easily. I enjoy the work, this is the best work of my career. This system is being sunset and we are migrating our systems to various internal CMS systems. I have taken on a new role of Content Manager for my growing team of India resources. I assign tasks and manage schedules on a daily basis. I am not looking for further employment at this point, but I am always open to hearing about other opportunities. If you are an employer or headhunter and know of a great working remotely employment opportunity that may be a really good fit that closely matches my skill-set, then please view my résumé. However, know that I am not actively looking for new employment, nor would I likely accept other employment at this time. I would only entertain a position in Austin, TX. Just looking for what everybody wants: a better paying job, better benefits, better incentives and bonuses, ability to advance, ability to learn new technologies and skills, more responsibility and recognition, and the ability to work remotely, and being appreciated for the long hours and hard work. If you are interested in hiring me as an independent consultant, contractor, web developer/designer to develop your website; or to redevelop and rethink your website, as my specialty is redeveloping and maintaining existing sites, then please contact me. more.. and also available on Google+. I have worked in the information technology field for over 20 years. After graduating Southwest Texas State University, now the renamed Texas State University at San Marcos, with a BBA in CIS. Upon returning to Austin, I worked as a daytrader, until I started my career at IntelliQuest, followed by the Department of Human Services, then as a contractor for IBM. During this time, I also started some businesses, those computer related are syphonsoft, a web hosting company, and a doing business as freelancer Matthew Comer. I am very quick and efficient at what I do. I key the keyboard like the a rock star can finger the fretboard of a guitar, I type fast and think faster! My hourly rate is typically $60, but it can vary by type of job. When I charge, I only charge for the exact time that I put into work. If I work 5 minutes, I charge for 5 minutes. No rounding up, I actually round down to help out the client. No minimum time to work. Actually, the best deal I offer my clients is the recurring 3 Hours a Month for $90 Website Maintenance Plan (Sign Up Now!). I am not limited to any of the above listings, types, or categorizations. I am willing to perform at my best ability in any job, role, or task that I commit myself. If you would like to work with me, then please contact me now. less.. and also more or less available here, Hello World! and Google+. IBM PartnerWorld Global Technology Services (GTS) website that I work on currently as a Web Developer Content Manager. Austin Skin Studio specializes in Laser Hair Removal and Skin Rejuvenation. We use state of the art lasers to achieve quick, safe, and effective results. Big C Towing has a reputation of being reliable, honest, fast service, reasonable pricing, and superior service. We tow from Texas to New Mexico, Oklahoma, and surrounding areas. CA Properties - Property Management Company. Compass Rose Cellars - Winery in Mason, Texas. Cross Texas Land Services, INC, a Professional Land Surveying Company, was incorporated in July 2007 and is licensed to do business in Texas, working for municipalities and private sector companies specializing in Large Boundary, Oil and Gas, and Renewable Energy. Sales Professional with Digitech Sales in Arkansas, Louisiana, Oklahoma, and Texas. Started in January 2010. In the Telecommunication Industry. Professional rep agency in the telecommunications industry representing Mohawk Cable, Hubbell, Quiktron, Greenlee Tools, and Middle Atlantic Metals. The symposium will cover near death experiences and related spiritually transformative topics. The lecturers are experts in the their given fields, and several of them have actually had a near death experience (NDE). Please come to the “Wisdom of the Near Death Experience” symposium and hear first hand, how this experience has changed peoples lives. Come and learn what the NDE teaches us about living and how this wisdom can improve your life too. Along with the great presenters at this event, there will be other near death experiencers attending the symposium. You will be able to visit with these experiencers, one-on-one, during the breaks and the social mixer. They can give you a personal perspective of what their NDE means to them, and how they live with the new truths they have found. After many, many, many craft beer missions, it became apparent that our group of friends had more beer stories than we could tell. It also became apparent that more and more of us were dabbling in brewing. Then we thought – wow, I bet there are many others out there with great craft stories, whether funny discussions and incidents, or interesting brewing experiences. We also discovered that as a companion to the great oral tradition of exchanging personal myth and legend over beers, there were in some cases, visual documentation of such acts. It was an easy leap to… “Hey, this would be a hilarious community”. Within days, Fat and Tappy was born. A forum to exchange funny and interesting stories of craft intrigue. Home Diagnostics provides a cost-effective, easy to use air sampler to test for viable contaminants. Home Diagnostics 2% malt extract plates are specifically designed to culture and grow fungi. The culture plates can be used in conjunction with the Home Diagnostics Sampler or may be used alone as an HVAC (heating/ventilation/air-conditioning) test (see "Products" section of this website for HVAC sampling instructions). The Texas Hill Country is home to over 30 wineries, and each one has its own unique style and charm. Many visitors are overwhelmed by these choices and often miss some of the best features of the Hill Country wineries have to offer. Let our skilled staff help you make the most of your next trip to the beautiful Texas Hill Country. A Group tour with Texas Wine Tours will guarantee an unforgettable experience. From the best known “Estate” cellars to the newest small, family-owned “boutique” wineries, we’ll take you off the beaten path and show you a part of the Texas Hill Country few people ever encounter. You’ll gain a new appreciation for wine and wine making. JP Trinity Group is an Austin based business brokerage firm. We take pride in quality and confidentiality. With over 15 years of sales and finance experience, our main goal is to get your business sold. Jay Pyeatt is the owner and broker who is committed to making sure this process is worth all the years you spent building your business. KBM Texas Ranch Services LLC - Farm/Ranch and Wildlife Consulting, Management and Labor. Las Lomas Tex-Mex Restaurant & Cantina is a family owned and operated Tex-Mex restaurant in Austin, Texas. Las Lomas first opened in 2008, its truly Austin’s Finest Tex-Mex. Offering a variety of traditional Tex-Mex dishes and unique Austinized twists, Las Lomas promises to be an Austin institution, family owned and operated for years to come. At Las Lomas, everything is prepared daily with fresh, healthy ingredients. Kyle starting cooking at an early age because “My mom was not a real good cook, so if I wanted to eat good food, I had to teach myself”. He got his start mentoring under Geoffrey Michael at The Waterworks Restaurant in Waco, Texas. Geoffrey is a renowned Chef who was the head chef at The Plaza in NYC and Royal Orleans in New Orleans. Kyle learned to cook French/Texas cuisine. He has always loved grilling and cooking outside. In 2012, He and his wife, Kathy set out to hit the Top 25 Texas Monthly BBQ list. They made it to all of the top ten and about 13 of the 25. That is when Kyle discovered what BBQ was really like. So Kyle set out to make cooking great BBQ his goal. Wayne Mueller of Louie Mueller BBQ in Taylor, Texas was very instrumental in showing Kyle the aspects of really good BBQ as was Aaron Franklin of Franklin BBQ in Austin, Texas. After many years of cooking and BBQing, Kyle has been able to produce some very good BBQ!!! And has earned the right to be called a PITMASTER!!!!! Mycotech Biological's full service indoor air quality laboratory specializes in the identification of biological contaminants found in the building environment. We are proud to have been a pioneer in the science of indoor air quality (IAQ) since 1987. MBI provides extensive identification and reporting services of microorganisms at competitive prices. Precision Inspection performs home, building & termite inspections (over 20,000 so far!) according to the inspection standards promulgated by the Texas Real Estate Commission. 97.3% of our business is repeat or referral business. Premier Martial Arts Austin, Instructor Master Steve Doss. Pro Art service is tailored to meet all of your art installation requirements. Whether it’s a single art piece, or hundreds, we’re ready to meet your installation needs. Pro Art service provides various levels of support to implement a client’s goal: from concept, design, fabrication, to on-site installation, analyzing all logistics and facilitating management of project. If you are interested in obtaining a lease then please fill out an application. I will contact you as soon possible. Feel free to call or email me with any questions regarding the vacancy status or accommodations. These are among the finest properties in all of Springfield. Texas Hilltop Properties is a small Austin based company. Formed in 2002 by owner Cary Yarosh, we own and maintain several dozen properties in and around the growing Austin area. With over 170 people moving to Austin everyday and rents on the rise, now is the time to secure your home here with us. Bert Ward is currently a state approved individual provider of Continuing Education and Journeyman and Tradesman required training classes as well as Medical Gas Endorsement Training. Freeman Properties - Property Management Company - We are a small Austin based company. Formed in 2003, with the idea of restoring and renting homes over twenty-five years old. We believe in ‘Keeping Austin Weird’ and deeply rooting in the whole South Austin ‘experience’. Lawn-Mat Lawn Care Services specializing in South and Southwest Austin Texas, Buda and Kyle lawncare and maintenance. Pink Santa is a non-profit charity event. It was founded in the Winter of 2000. It was originally a held as an event, then a co-sponsored event around Christmas, to collect gifts and raise money for the under advantaged women of Austin, Texas. Mission Statement The mission of Pink Santa is to give Christmas gifts to children from single income families who would otherwise not have any presents to open on Christmas morning. Pretty Paper Photography - Jenny Comer Family Portraits. Redleaf Brewing Company is located in Austin, Texas. Formed when brewers Lee, Garth, and Matt began brewing small batches of handcrafted home brew style beer.. We strive to create the highest quality beer with a flare for the unusual and unique, yet keeping with the spirit of a small brewery, catering to the tastes of beer lovers abroad. Such Good Photography - Rock and Roll Photographer - We specialize in taking pictures of bands! Live onstage, performing music. Portfolio and photography business. syphonsoft Web Hosting has a company wide commitment to excellence in service and a relentless dedication to customer care from our support staff, you can be assured that your needs will be met promptly when contacting our customer service team. Authentic Texas BBQ Brown Butcher Paper As recommended by Aaron Franklin, owner of Franklin Barbecue in Austin, TX. Butcher paper is most often used in the Bar-B-Que scene as a basket/tray liner as well as carry-out wrap. Pink Butcher may also be used as a sandwich wrap and adds a mark of distinction to the wrapped item so it stands out from other wraps. Beyond wrapping sandwiches and dressing up meat and fish, see the advantages of cooking with pink butcher paper. Pink Butcher paper enhances the appearance of meat and improves food safety and handling for those in the food service industry including butchers and deli and grocery store owners. The pink color dresses up the look of sandwiches, barbeque, fresh meats, poultry and fish. All of our pink butcher paper is 100% FDA Approved. Wagon Road West Distillery is a Boutique Distillery that is planned to be opened along the destination area in Southwest Austin.